A plunge in commodity prices hurt Canada as it fell to 10th place in the latest rankings of business competitiveness by the IMD World Competitiveness Center, its worst position in several years. 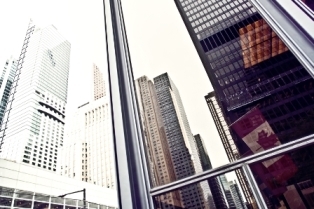 The Swiss-based group, part of the IMD business school, ranked Canada in fifth place last year. The drop came as the downturn in commodity prices hits the economy hard and dragged down its ranking in several key categories for economic growth. “I think most of the major issues that originated the drop in the ranking are external to Canada, something that is out of the control of policy-makers at the moment,” said Jose Caballero, senior economist at the IMD World Competitiveness Center. Canada wasn’t the only country to slip in its ranking. The United States was knocked down from of its top ranking to third place as Hong Kong took over first spot and Switzerland finished second. Rounding out the top five were Singapore in fourth place and Sweden in fifth. The rankings, which judge a country’s ability to create and maintain an environment that helps businesses remain competitive, are based on both statistical data as well as an executive opinion survey. They use 342 criteria to judge competitiveness, with two thirds based on statistical data and one third based on the survey. Canada’s overall economic performance ranking fell to 14th from 10th in 2015. Government efficiency slid to 10th from eighth, while business efficiency dropped to 12th from third. The country’s infrastructure ranking fell to ninth from sixth. Caballero noted that the drop in the government’s efficiency rating came in the wake of last fall’s election, which saw the Liberals oust the Conservatives. “I think it is perhaps a bit of hesitation on the side of the executives that we surveyed,” he said, adding that it will be a measure to watch next year. Earlier this year, the Liberals appointed an advisory council of 14 people with a range of backgrounds to help the government create a plan to boost long-term growth. Daniel Lauzon, a spokesman for Finance Minister Bill Morneau, said the government believes Canada’s future success depends on how well it is prepared for the global economy of tomorrow. “That’s why with its very first budget, our government is investing in innovation, in students, in post-secondary education and in basic science to ensure we put our best foot forward,” he said in an email.